In conjunction with lifestyle changes and my beloved essential oils, using CBD hemp oil for anxiety daily has totally leveled out the hum of anxiousness I tend to feel. CBD oil is a relatively new player in the wellness world, and if you’re someone who deals with anxiety or stress, CBD should be on your radar and in your medicine cabinet. It’s pretty incredible how hand-in-hand CBD oil and self-care go together! Before you read more, please know that there is a major difference between cannabis and hemp. Yes, both plants have cannabinoids, but the latter contains none of the psychoactive ingredient, THC, that’s found in cannabis. WHAT IS HEMP CBD OIL? CBD is a naturally occurring compound found in hemp and cannabis plants. What’s super important to note, and usually the first question I get asked, is No CBD will not get you high. That’s because CBD does not contain THC – the psychoactive part of cannabis – that gives you that high feeling. In fact, hemp is completely legal in all 50 states, making it a great all-natural option for those who are living with anxiety or the occasional anxious feelings and are looking for a way to more grounded and calm. CBD has truly helped my mood in so many ways! Personally, I love the organic hemp CBD oil from Soul Addict – check out my Soul Addict review! I encourage you, as with any new wellness product, do to your own research about the incredible benefits of incorporating an organic CBD hemp oil into your lifestyle to help ease those anxious feelings. Personally, using CBD daily helps me to manage my anxiety by producing a calming effect that empowers me to stay focused, make decisions, and remain in control of my mood and emotions. Especially when added to my morning matcha latte – watch out, world. For others, starting with CBD hemp oil at night might be the best choice to calm those anxious feelings and improve sleep. If you’re using it this way, it’s great added into a sleepy tea and sipped on about 30 minutes before bed. You might find that you have to adjust the dosage to find the optimal dose for you and your body. WHAT’S THE MOST IMPORTANT THING FOR A FIRST-TIME USER TO KNOW? I think the one thing I’d want people to know about CBD is that it’s probably not what you expect it to be. There’s still a tiny hesitation, as it’s so new to the wellness industry – it’s not going to alter your state in any way or be this big ‘before’ and ‘after’. It’s a gradual self-care ritual that’s more powerful over time. That’s why I like to share that, in my view, CBD is simply what I’ve coined as feeling a ‘zen shift’ – a calm. 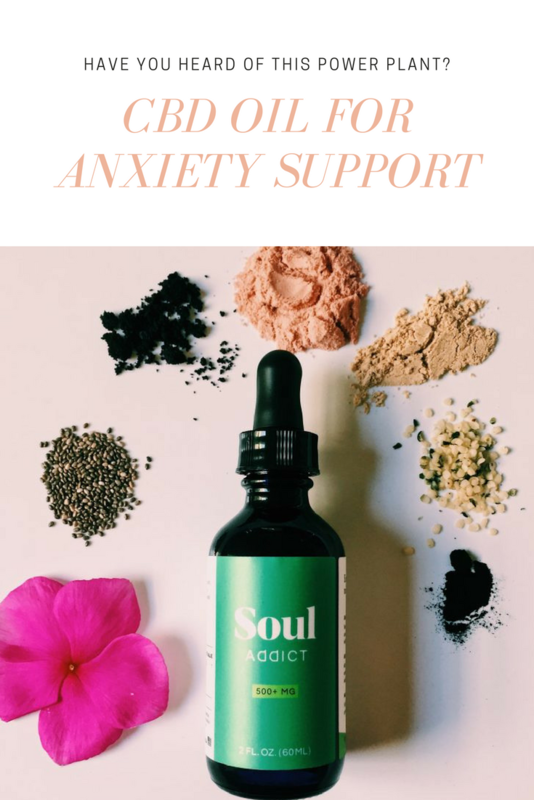 There’s still a little stigma around CBD, but it’s truly such a simple, yet powerful, tool that we, as women, can use to help us navigate stress and anxiety. If you’re interested getting started with CBD hemp oil for anxiety, there are some important facts to consider. Know where the company is sourcing their hemp. Personally, I will only use natural medicine-cabinet alternatives, like CBD, that are sourced sustainably and ethically. Also, what’s the extraction method like? With any delicate oils, it’s important to know how the oils are being extracted from the plants. Some methods are more better than others, meaning, the quality of the oil you’ll be left with at the end of the day can be related to the extraction process. No. CBD is legal in all 50 states because it’s from a completely different plant – hemp – than traditional high-inducing marijuana. Speaking from personal experience, I can say CBD can help with the feelings that come along with anxiety. Also, there have been articles and studies showing the positive impact of CBD on inflammation levels, mental health disorders, and cancerous cell invasion. Again, nope. Since CBD is from a different plant than marijuana, it does not contain any of the psychoactive THC, you know, the stuff that makes you feel high. 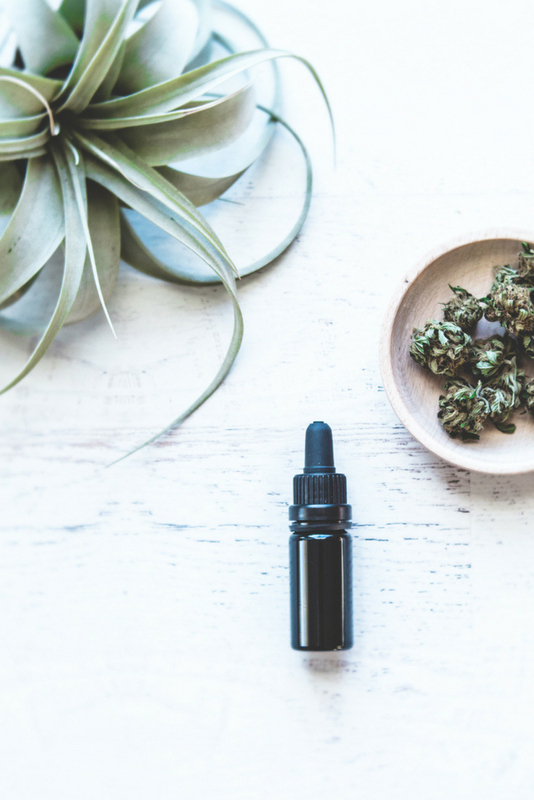 What CBD might do is produce what Laura calls the “zen shift.” The zen shift is your body’s natural reaction to these calm-inducing plants, without a noticeable buzz or high. Some people might feel a bit sleepy after taking CBD, so it’s recommended to start your daily dose (about 15 drops of Soul Addict’s CBD) in the evening. For me, I feel like I can conquer the world when I add a daily serving to my morning matcha, but everyone’s body is different – listen to yours. WHERE IS CBD OIL SOURCED? That varies from brand to brand, so it’s essential to do your research and find out where they’re sourcing their hemp. Some companies source and grow from China, spraying who knows what on their crops. I love Soul Addict because their hemp is 100% sourced in the USA (Colorado and on their family farm in North Carolina) through farmers under the federal pilot program initiative to research industrial hemp plants. According to Laura, that’s a fantastic part of why we’re able to use whole-plant extracts in our products. Meaning, our oil contains more nutritionally beneficial ingredients than just a CBD isolate (containing only CBD) content. Carley Schweet once worked in the corporate fashion world of New York City, spending her workdays people pleasing and her nights and weekends reeling with sleepless anxiety. Over time, she realized her stress arose from being afraid to say No —whether out of reluctance to hurt others’ feelings or due to her crippling anxiety and lack of self-care. She then quit her corporate job and graduated from the Institute for Integrative Nutrition in New York. Today, she is a self-care coach and author of the book Boundaries with Soul. ARE YOU READY FOR SELF CARE? I’m so interested in this topic! I was given some CBD oils and I thought they were for topical use, but I need to investigate. Thanks for or sharing! Wow, I’d been thinking about trying CBD oil for anxiety but if it can impact what’s being studied in those trials, that’s amazing! Thanks for sharing! Carley, thank you for this post and for being both positive and honest about your daily challenges. I like using CBD syrup in water. I love that it doesn’t get me stoned, just calm. I have debilitating anxiety and CBD is the only thing that keeps it under control. CBD also helps with the physical pain of working in food service 6 days a week.